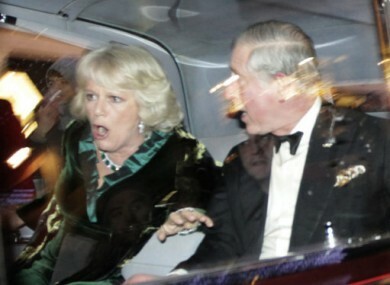 Charles and Camilla react as their car is attacked by protesters on 9 December 2010. POLICE IN THE UK HAVE arrested a man on suspicion of attacking the car carrying Prince Charles and Camilla during a student fees protest in December. The royal couple were travelling to the London Palladium for the Royal Variety show when they become embroiled in the protest against tuition fee increases. The Metropolitan Police said in a statement that a 34-year-old man was arrested this morning on suspicion of violent disorder and criminal damage. They said he was detained “after attending a west London police station by prior appointment”. Email “Man arrested over Prince Charles car attack”. Feedback on “Man arrested over Prince Charles car attack”.